DXY stalls decline amid US tax reform optimism. Eurozone final CPI y/y meets estimates. EUR – unfazed by risk-on. 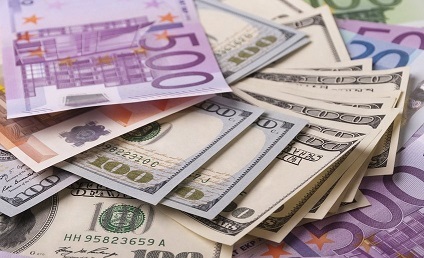 The EUR/USD pair failed to extend its renewed upmove and remained capped below the 1.18 handle, as the bulls were left unimpressed by the Eurozone final CPI report. The main currency pair stalled its recovery mode just shy of the 1.1800 mark, largely on the back of a pause in the USD sell-off across the board, as Treasury yield regain poise across the poise amid risk-on trades, reflected upon by the rally in the European equities. The USD index bounced-off lows at 93.23 and now trades at 93.31 levels, down -0.17% on the day. Moreover, the headline Eurozone final CPI data met expectations on an annualized basis, but the core inflation figures disappointed, which dented the sentiment around the Euro. The Eurozone inflation numbers remain well below the ECB’s 2% price target. With the Eurozone data out of the way, the focus now remains on the German Bundesbank monthly economic report due out shortly for fresh impetus.